With Saturday’s scheduled catchweight rematch battle against fellow old timer Ricardo Mayorga in serious jeopardy due to a Don King lawsuit, “Sugar” Shane Mosley has insisted that the show will go on in L.A with or without the chain-smoking Nicaraguan in the opposite corner. King filed emergency injunction papers in Miami recently, claiming he still has Mayorga under contract and hasn’t given his okay for him to compete in the bout, something that is looking increasingly likely to be true after last Thursday’s hearing in Miami, which Mosley attended. 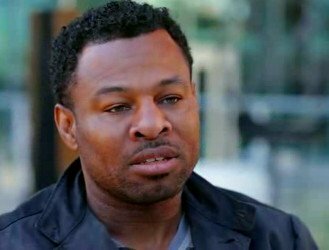 However, Mosley is adamant that he will fight Saturday regardless, and is perplexed why King, who hasn’t promoted a Mayorga fight in 5 years, wants to stop the fight rather than take a cut as promoter. With Al Haymon’s PBC Santa Cruz/Mares fight occurring the same night in L.A, Shane ostensibly suspects sabotage, especially given the “anti-competitive tactics” already cited in the Top Rank and GBP lawsuits lodged against the elusive advisor. Why King has an investment in that though, is unclear to Mosley. Shane, who has independently promoted the event – his first fight in 2 years since injuring his back against Anthony Mundine in Australia – should now have a desperate scrabble to find anybody remotely interesting to fans at such a late hour, and even though the fight was wholly reliant on the bad blood between him and Mayorga to sell it, he claims a “better” alternative opponent is already waiting in the wings should the judge rule in King’s favour.